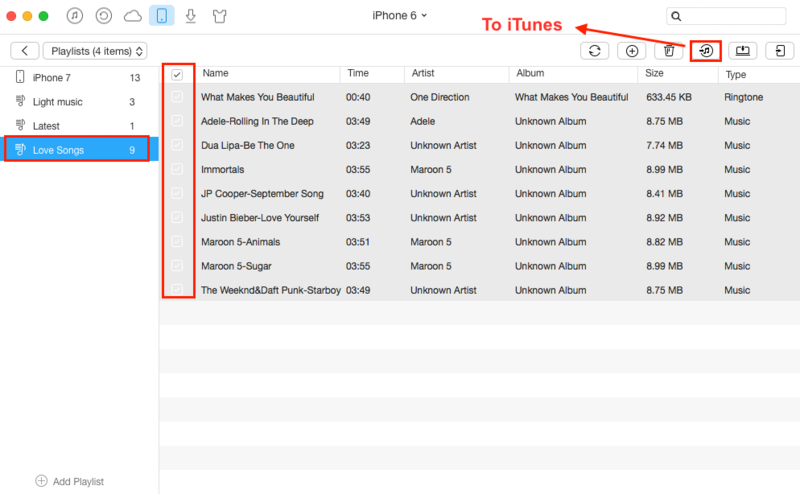 Want to copy playlist from iPhone to iTunes on Mac or PC? 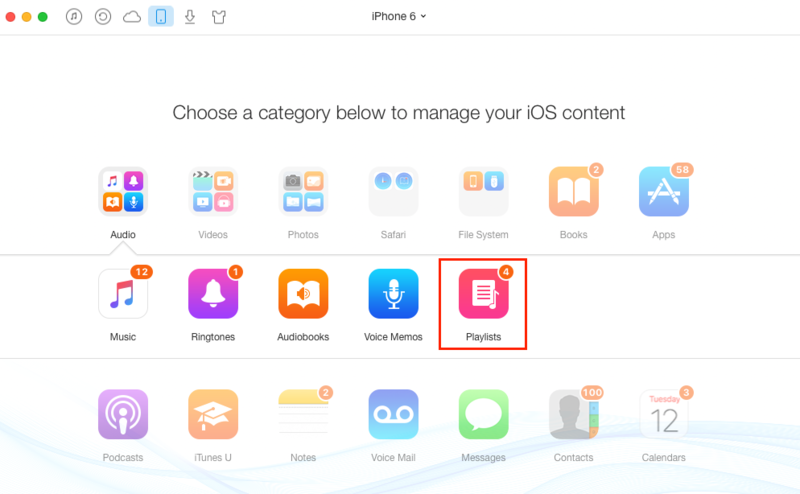 You’ll get 2 easy methods after reading this guide about how to copy or move playlist from iPhone to iTunes. This easy-to-use iOS data transfer tool – AnyTrans can help you manage & transfer your iOS data among iDevice, iTunes and computer. Download it and follow 2 methods in this guide to move playlist from iPhone to iTunes. There is no denying that to create a killer playlist of favorite songs you usually listening to will cost lots of time, especially when it contains hundreds of songs. Sometimes, you may need to transfer playlist from one place to another for some reasons, like you accidentally lose playlists at one place but they are still on another place. You may know how to use iTunes to sync playlist from iTunes to your iPhone 7/6s/6/5s/5c/4, but do you know how to copy playlists from iPhone to iTunes on computer too? Actually, you can’t move playlists from your iPhone to iTunes directly because iTunes neither enables you to copy a playlist from your iPhone to your local computer, nor will let you to drag individual songs from iPhone to a computer playlist too. It’s really not an easy job. But don’t be worried, this article will introduce two methods to help you transfer playlist from iPhone to iTunes hassle freely. Before considering moving playlist from iPhone to iTunes with AnyTrans, let’s know more about the tool we need. 1. It is easy to copy playlist from iPhone to iTunes with songs, play counts, ratings, cover arts and more info, and never generates the problem - you may see in iTunes but can't play it. 2. It allows you to transfer music from iPhone to iTunes, to computer or to another iOS device directly. 3. 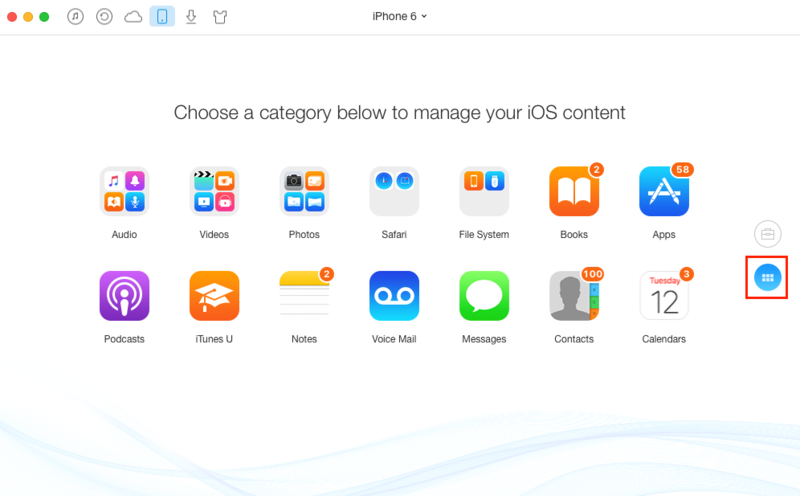 It supports transferring playlist, music, movies, ringtones, messages, photos and more iOS content among iTunes, iDevices and computer. Now, download AnyTrans and follow steps below to copy playlist from your iPhone to iTunes. Step 1. After installing AnyTrans on your Mac or PC computer, launch it and connect your iPhone. Then click button and go to the category page. Step 2. Click on Audio, select Playlists. Step 3. Select the playlist you want to copy and tick all the songs, and then click To iTunes button to start moving playlist from iPhone to iTunes. 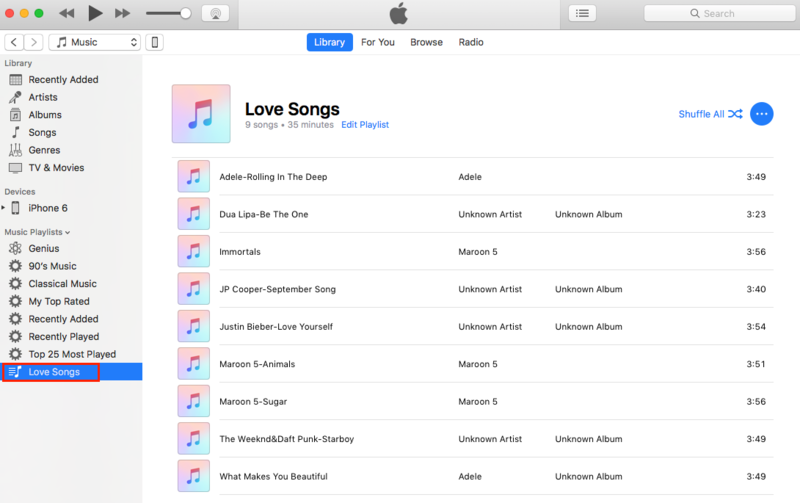 After that, open iTunes on your computer, you can see the playlist and songs are already in your iTunes library now. Note: You can read this article on How to Transfer Data from iPhone to iPhone when you getting a new iPhone for yourself. If you really want to move playlists from iPhone to iTunes without using a third-party tool, well, you can use iTunes to make it as well. But, you need to ensure that all the songs in the playlists you’re planning to copy from your iPhone must be exist in iTunes library as well as your iPhone. Otherwise, you’ll see an error that “Some of the songs in the file were not imported because they could not be found”. If you want to avoid potential iTunes sync failure, and copy playlist to iTunes from iPhone, you can move to Method 1 to make it with ease. Step 1. Open iTunes and connect your iPhone to computer. Step 2. Click the icon of your iPhone at the upper left corner. Step 3. Select the playlist you want to copy, click "File" > "Library" > "Export Playlist…" in the iTunes menu to save the playlist as a text file on your computer. Step 4. Click “File” > “Library” > “Import Playlist…“ in iTunes, then select the text file you’ve exported in step 3. It’s done! If you didn’t have music files on your iTunes library as well as your iPhone at first, you can read this guide about how to extract songs from your iPhone to iTunes to make a preparation. As you can see, using AnyTrans to copy playlist from iPhone to iTunes is easier than using iTunes, but iTunes is also works when all the songs in the playlists you’re planning to copy also exist in iTunes library. According to the different cases, you can choose the best one by yourself. If you feel these methods are helpful, please free to share this guide to your friends. Besides, as we mentioned above, AnyTrans can do more than this, why not download AnyTrans to have a try?